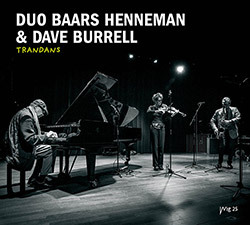 A concert of sophisticated and introspective improvisation from the long-running duo of multi-reedist Ab Baars performing on tenor sax, clarinet & shakuhacih, and viola player Ig Henneman, who invited NY pianist Dave Burrell to join them at a concert at the Bimhuis, Amsterdam for a sublime series of unhurried, delicate and reflective improvisations. 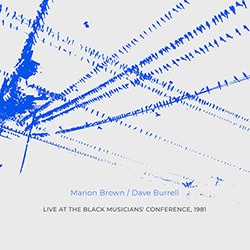 Frequent collaborators, pianist Dave Burrell and tuba player Bob Stewart take on the early jazz music of Jelly Roll Morton alongside original compositions from Burrell, performed live at the Kolner Stadtgarten in Cologne, Germany in 1994 for a joyful look forward and back. 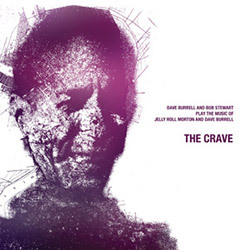 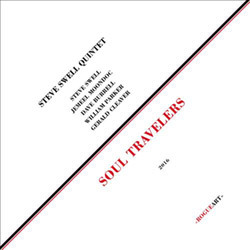 A great set of Downtown NY players led by trombonist Steve Swell, with Jemeel Moondoc on alto sax, Dave Burrell on piano, William Parker on double bass and Gerald Cleaver on drums, a heartfelt and masterfully soulful album of excellent modern jazz in a limited LP. 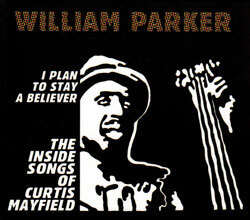 Parker's definitive document of his Curtis Mayfield songbook project with Hamid Drake, Dave Burrell, Sabir Mateen, Darryl Foster & Amiri Baraka, promoting Mayfield's positive messages of hope and fortitude.